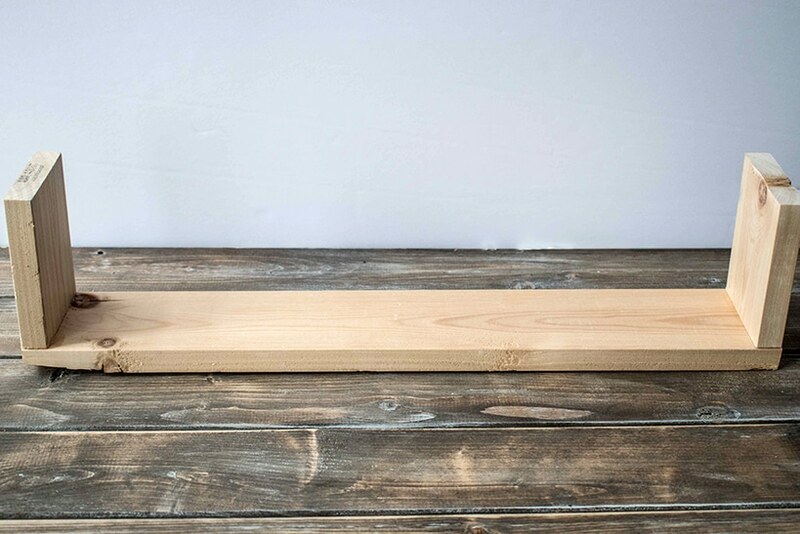 I’m building this cute wooden planter for our newly renovated (ok, currently being renovated) ensuite bathroom. While my husband is fighting with uneven walls, replacement floors (including new joists) and new everything, I’m farting around making decor items. In my defense, they are for the same bathroom. What a beautiful relationship we have. How quick you ask? 20 minutes or less! How cheap you ask? Ten bucks! I used scrap wood and leftover stain. Even if you have to buy the wood, it’s going to be a cheap DIY project. 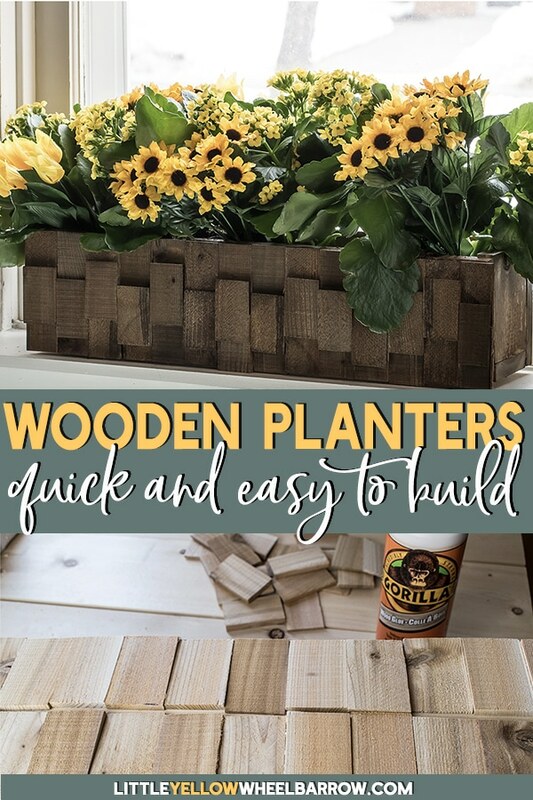 I’ve built many wooden planters over the years. Some are rustic, some have been painted every color of the rainbow, a few dozen are used outside in the summer for my mass petunia planting. I build them to whatever size I need. 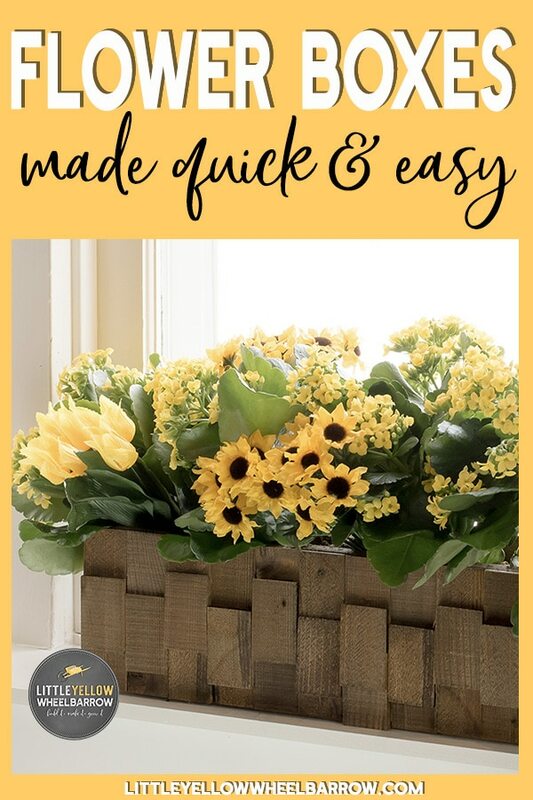 These wooden planters have to be the simplest DIY wood project ever. 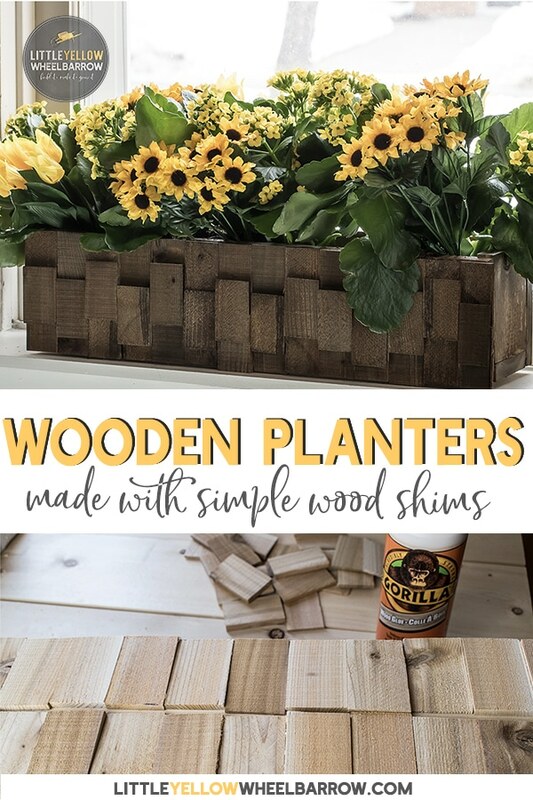 If you are just starting out woodworking creating a wooden planter will be a great starter project. 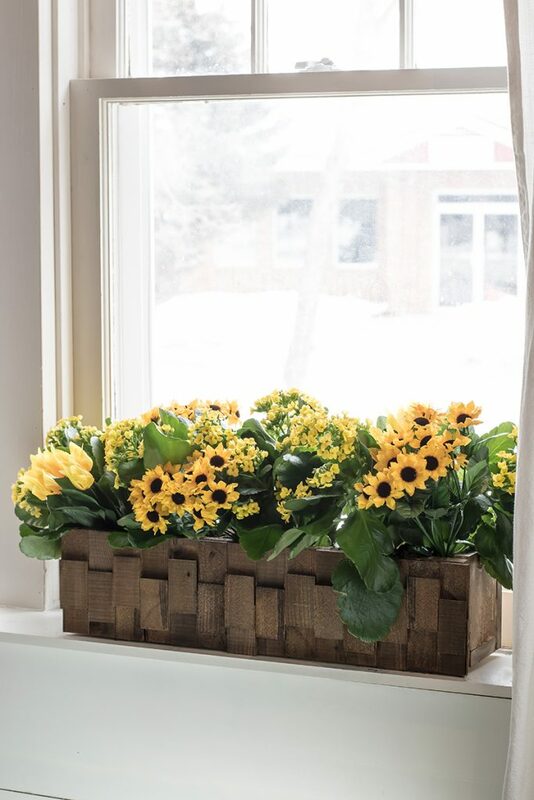 My problem is I am getting a bit bored with the everyday old box style rustic planters, and I wanted something with a bit of texture and pattern. Sometimes what you set out to make doesn’ t work, and you end up with something better. I purchased two sets of cheap cedar shims. The first pack I cut into pieces and tried to put them together in a herringbone pattern. Nope, fail. I would need much narrower pieces and when it comes to cutting anything that small on the miter saw – I pass. I like my fingers attached to my hand. There are much better tools out there for cutting small short pieces of wood, and I was far too lazy to find one. I ended up playing around with the cut pieces, asking my husband every few minutes to stop laying tile in our new bathroom and come check out what I was doing. He was thrilled. In case you are wondering he still finds me delightful. Eventually, I worked out a pattern that I liked and slapped the entire wooden planter together in about 20 minutes. 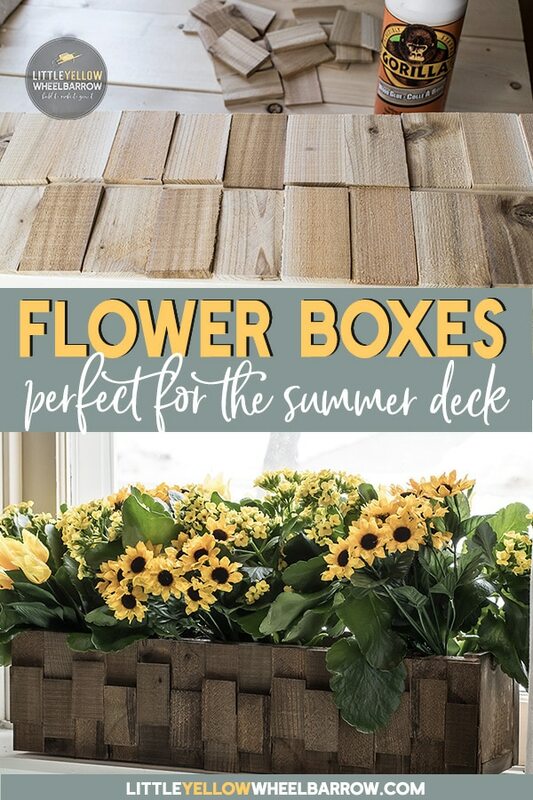 Step one: Build your Wooden Planter base and sides. Our firsts step is to attach the two small 4 1/4 inch (4×1) pieces to the 20-inch(4×1) base piece. 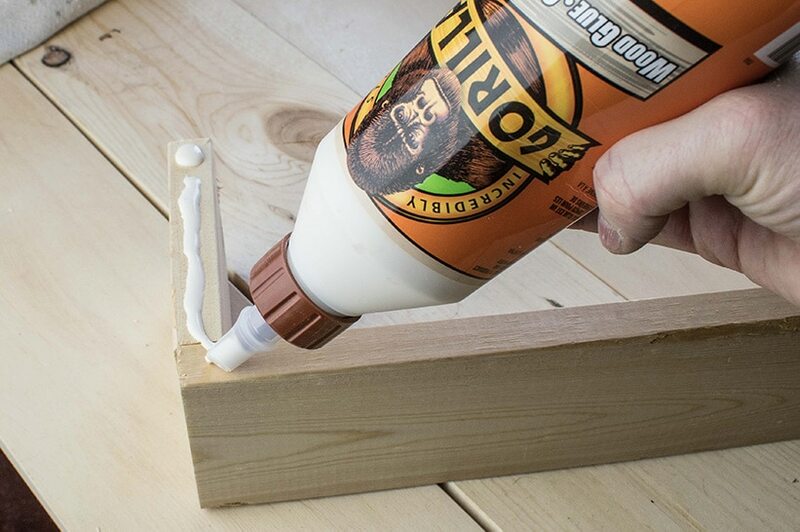 Use a bead of wood glue and add a few small 1-inch finishing nails. I used the brad nailer and air compressor, but a simple hammer would work here as well. Once we have our two sides attached it’s time to add the front and back pieces. 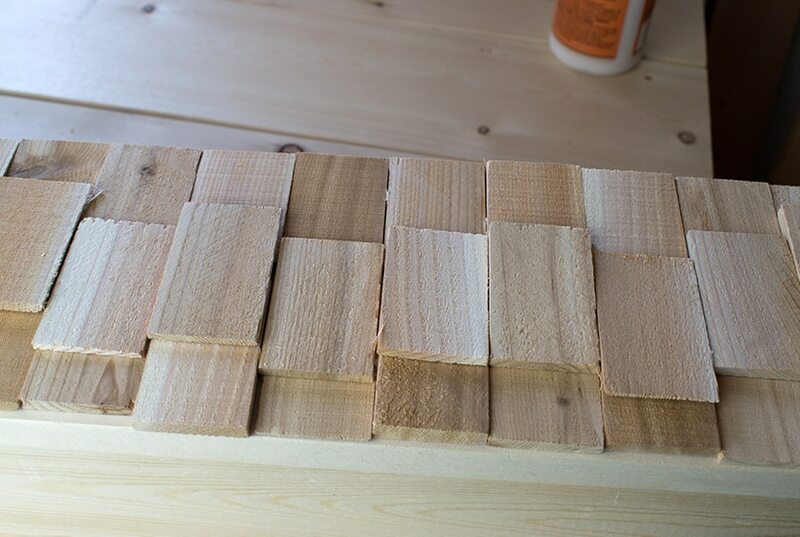 Add a good bead of glue along the front and side pieces and lay the 20-inch (6×1) board across the front. Add a few finishing nails along the sides and bottom to hold your pieces in place. Repeat this process for the back as well. Next, you need to cut your shims. Ideally, you would cut them to half the size of your front panel so in this case we need our shims cut at 2 1/4 inches. That’s not what I did! You will notice a few gaps in the center of my shims. If you cut your shims to the correct length, you won’t have that gap in the middle, so pretend that the gap doesn’t exist in my photo. We hid that mistake anyway, so …pfft what mistake? Add your first layer of shims over the face of the box. You are just placing them on the board to fill the front face. If there is a small gap between the top layer and bottom layer that is not important, ignore it. That gap gets filled when we lay the next layer. 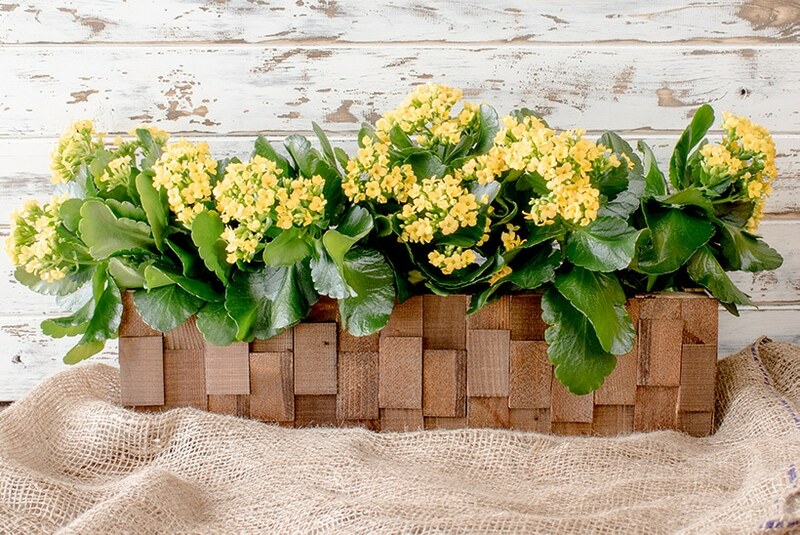 You need to match the tops and bottoms of your shims to the edges of your wooden planter. Align your shims on the front face of your planter so that they are all different size thickness, don’t match them up. Lay them out so that they are well mixed up. Once you have a pattern that you like, go ahead and lay a heavy bead or two or wood glue under each row and place the shims back in place. 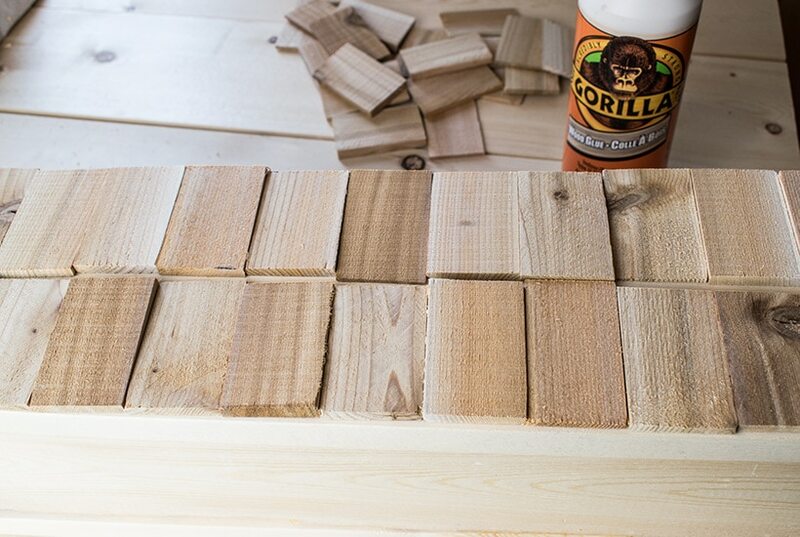 The next step is to add the center row of cedar shims to the front of your wooden planter. Once you have the pattern set to the way you like it, go ahead and lay down a bead of glue along the center and put your middle row of shims in place. 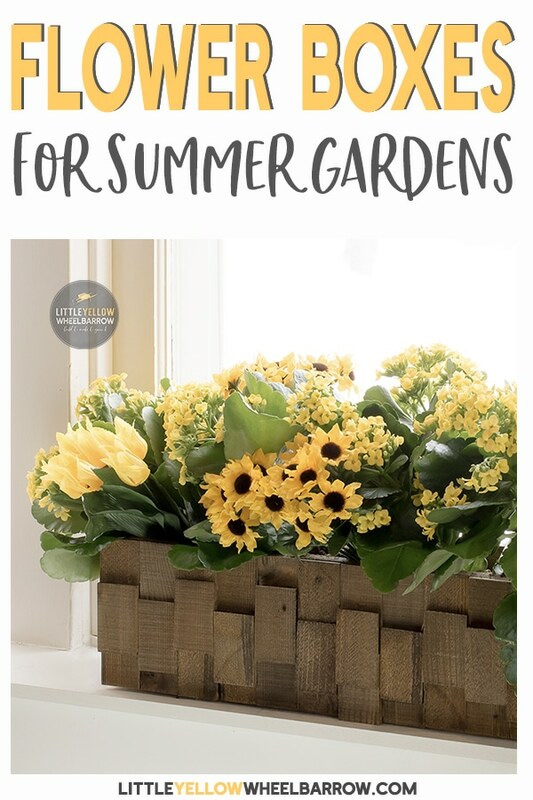 You want to mix up the heights here, add some low, and some high to add a pattern and texture to your wooden planter. Because the shims are different thickness, you’re going to find that they have difficulty fitting flat. Don’t worry about that, just add more glue to the area where the shim will lay flat. This adds a bit of dimension, and that’s what we want. I had a hard time deciding how I was going to finish off these boxes. My bathroom floor is black and white, and everything else is (drum roll please) white. We’re also adding stained wood ceilings in there, and I wanted a few stained wooden pieces to compliment it all. I couldn’t decide what stain I wanted to use. Cedar also stains very differently from pine. My go-to wood for projects is good old pine, and I pretty much know what stain color is going to look like at this point without even testing the wood, but cedar is a different case. I stained three shims, and all of them were much richer in colour than I had imagined they would be. The Min Wax Early American won with a rusty brown hue. 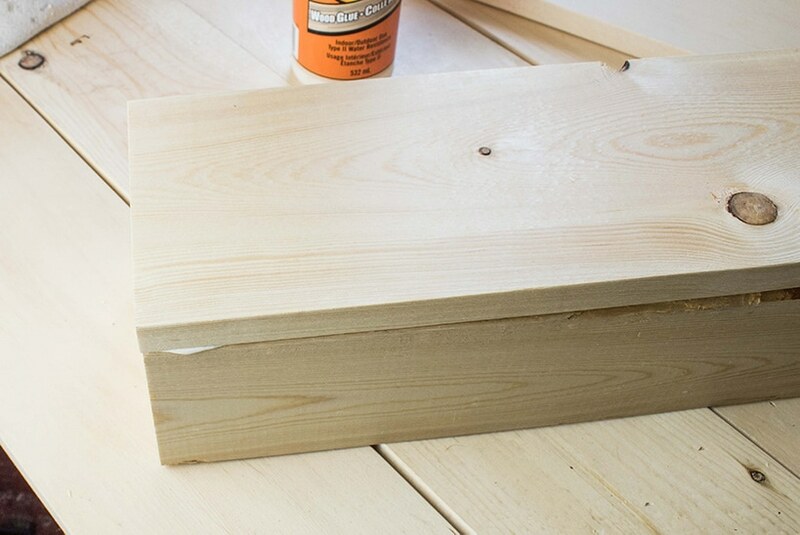 I used pine for the box so of course the cedar and pine don’t match after staining, but since this box is going on a window sill and all you’ll see is the front, I didn’t care about matching wood stains. It’s not that off at all the planter just looks a touch lighter. Filled with plants or flowers, it will be even less noticeable. If you added shims all the way around the colour matching wouldn’t be a problem. 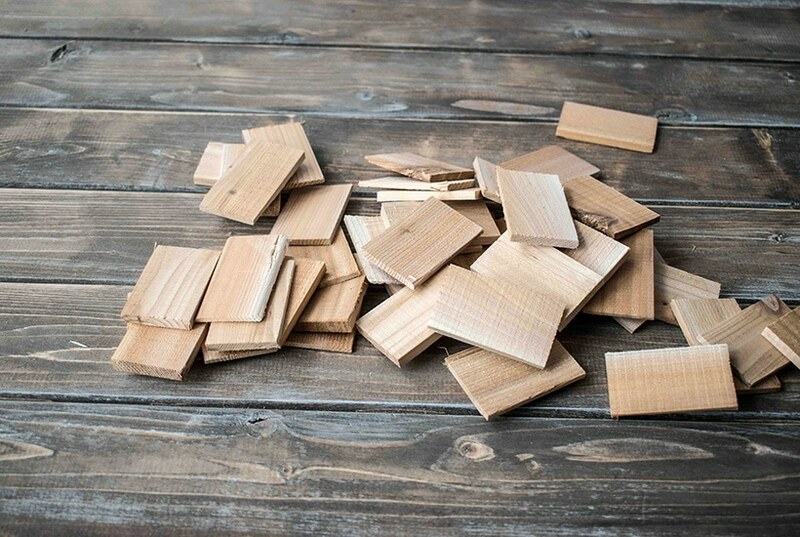 Buy three packs of cedar shims if you want to take the pattern all the way around your wooden planter. If you plan on using these for actual plants, I suggest adding a planter with a built-in reservoir for water. So long as the wood doesn’t get wet, the glued on shims should stay in place. If you’re worried about the longevity of your project you can add small finishing nails to the front of each shim after you glue them down. You may crack a few in the process so be sure to have a few extra on hand if you do decide to nail them in place. Use tiny finishing nails! Oi, I can’t believe how insanely simple this project is…I was like, how in the world does that fit together? Now I see…this is a really clever and creative DIY! Pinning! 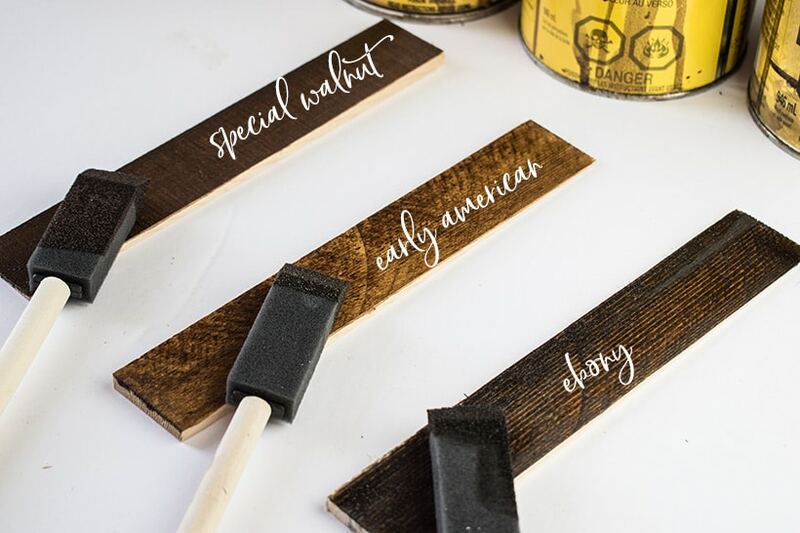 Love this idea Laura and it looks totally doable for a beginner like me:) Have a great weekend! I find I had to get past the fear of the saw and then I was good to go. Very easy to make, and once you make one I guarantee you will be making all kinds of them.